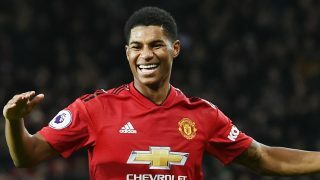 Ole Gunnar Solskjaer believes Manchester United striker Marcus Rashford has the potential to be as good a centre-forward as England teammate Harry Kane. The pair face off in the Premier League this weekend at Wembley, with Harry Kane scoring 14 league goals to his name already this season, as per WhoScored. 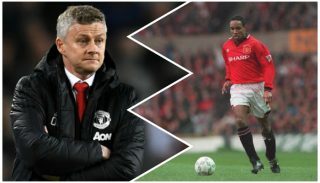 It is he who is setting the goalscoring standard for strikers in the English top-flight and Solskjaer thinks United boy wonder Rashford has what it takes to make that level. Rashford is expected to start as United’s main man up front against Spurs on Sunday regardless of Romelu Lukaku being fit or not. 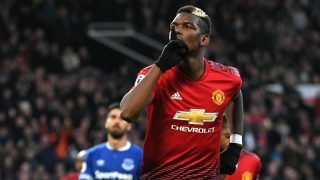 While the Belgium international has returned in recent weeks with goals, he is not quite as sharp as Rashford, who could push the former Everton striker out of the team with Solskjaer at the wheel. This provides good competition for places anyway, the way it should be at United. 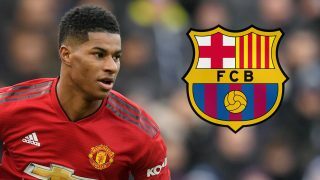 Rashford has come through the youth academy and has made his dream a reality, while Lukaku was the responsibility of former manager José Mourinho after splashing out for an initial £75 million, as reported by The Telegraph. People wondered why Rashford performed better for England than he has for United in previous months. 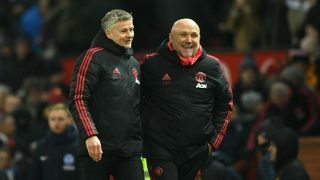 If his form under Solskjaer gives us any indication, it may have something to do with playing under a manager who believes in him? 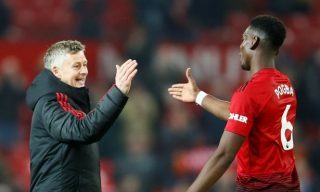 “He can become a top, top striker,” said Solskjaer, as quoted by Fox Sports. “We can talk about Harry Kane and his class and I’m sure Marcus as well. He’s got the potential to get up there. José Mourinho, who was sacked on December 18, didn’t fancy Rashford as a centre-forward and preferred to play the starlet out wide on the left, but that meant he had to compete each week with Alexis Sanchez and Anthony Martial. The caretaker boss has come in looking to ensure he gets minutes in order to develop as a striker. Whoever gets the United job on a full-time basis must work towards bettering Rashford. His potential needs to be unleashed in order to become one of the best strikers out there, and the Reds cannot afford to miss out on such talent.